Horse Shows - At Locust Run Stables we attend horse shows ranging from local schooling shows, to sanctioned shows, and even regional and national level shows. Showing is available to students on stable-owned horses or on your own horse and is a great opportunity to test your riding skills. Horse showing can be an exciting family activity and can provide memories of a lifetime. Trail Rides - Trail riding is a wonderful way to enjoy horses and the great outdoors at the same time. We offer trail riding experiences onsite as part of the regular lesson program. We also offer to our students several daytrips to nearby horse trails and camps throughout the year. Sorry, we do not offer trail rides to the general public at this time. Bath Days/Sleepovers - Bath Days are a fun and exciting way to spend a hot summer afternoon! Demonstrations are given on how to clip, bathe, and prepare a horse for showing. Then the participants are given a horse to bathe and decorate! The day culminates in a parade of horses, so we can see all the great looking horses. Daycamps, Clinics, and Field Trips - Occasionally we schedule daycamps, clinics, and field trips so the students can broaden their knowledge. Day camps may include riding, arts and crafts, stable management, tack care, and bathing of horses. Clinics and field trips may include equine professional, farrier or veterinarian presentations, visiting other horse facilities, and attending local parades, horse fairs, or other equine events. Click on the DAYCAMPS dropdown under the LESSONS tab for more information on summer daycamps! Christmas in the Stables - A yearly event where we give thanks to God for the blessings he has given us through the gift of salvation through His son Jesus Christ. 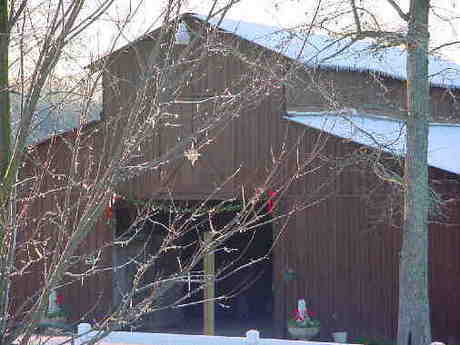 We celebrate the birth of Jesus by decorating the barn and horses, reading the Christmas story, and having refreshments. It is a wonderful feeling to celebrate Christmas in the Stables! !